Camping is spending lots of time outside, exploring, hiking, cooking, relaxing so I know the first question is “Why?” . There are times when we have hook-ups and in the evening we enjoy a little TV later in the evening, I am also a huge F1 fan and on the rare occasion I am able to watch the race. 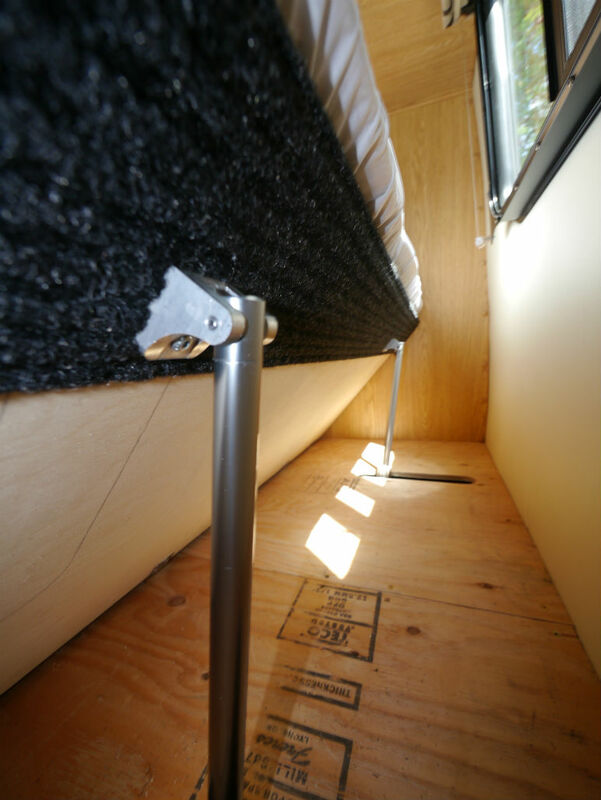 We all know how awkward and uncomfortable propping a pillow up against the wall is, and those blind cord anchors can be a real pain in the back. Finally I must confess the real reason is the “cool Factor”, this mod is just so cool. 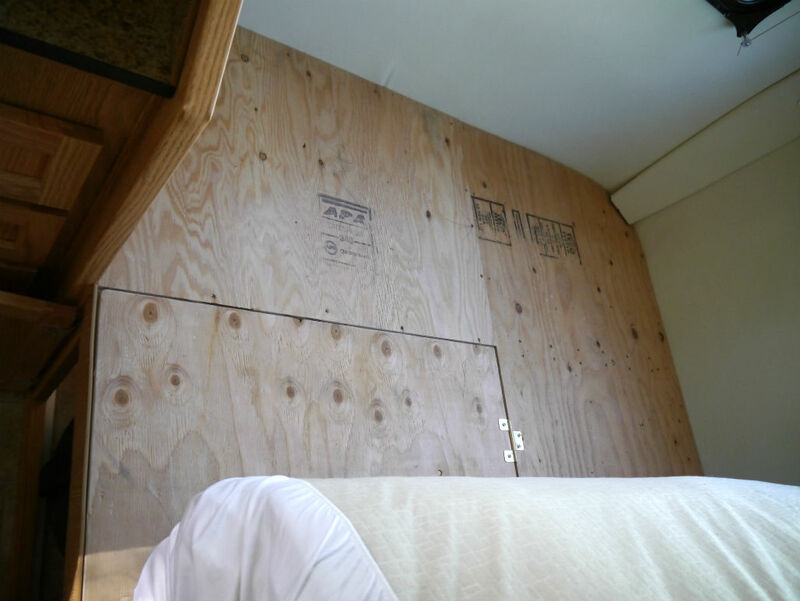 Remove or fold back the mattress and measure the area for the lifting platform. 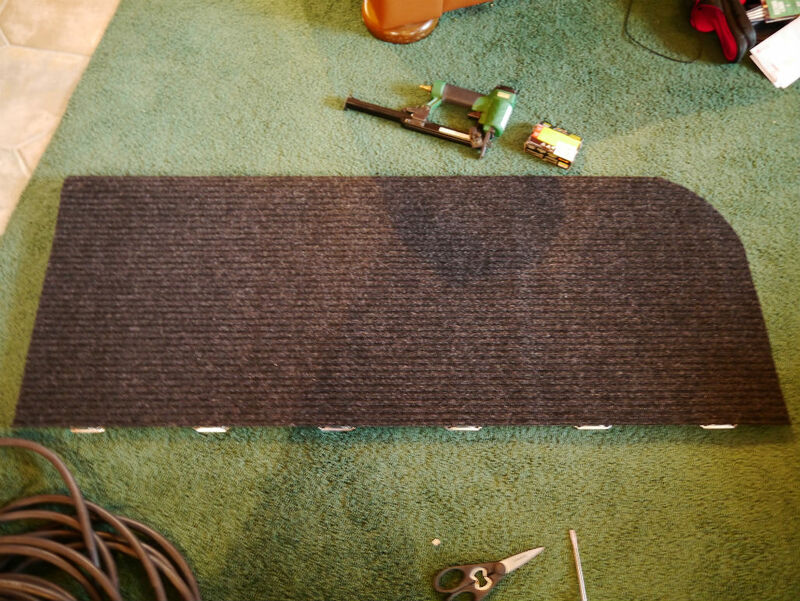 I made the lifting platform about 24″ wide by 58” long, this width aligns with the edge of the under bed access hatch. 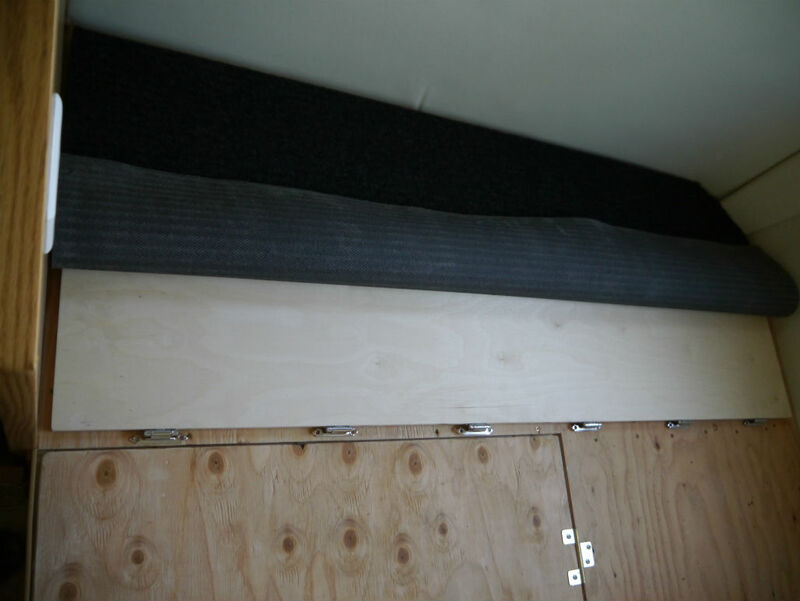 I keep the platform away from the wall by about 1″ to not hit the walls or window shades when it lifts, I used the front dinette cushions as a template for marking the curve. 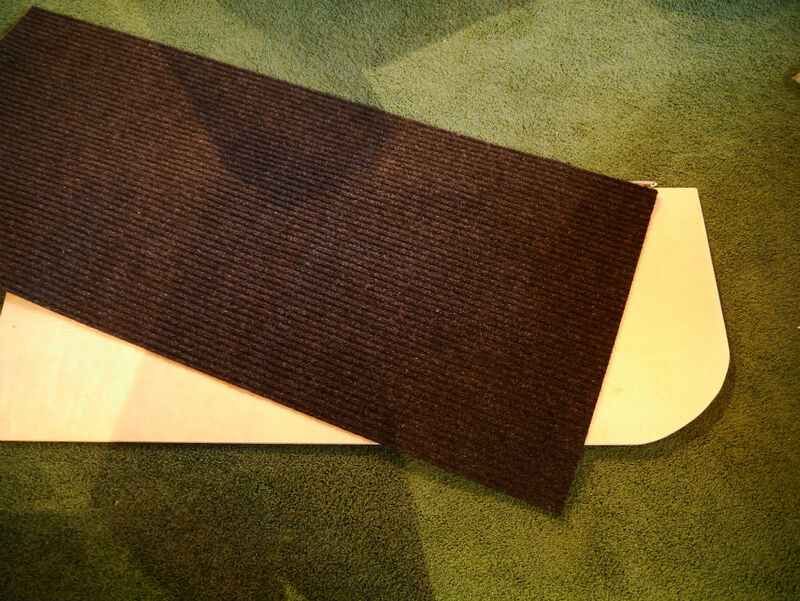 Once cut I covered the plywood with a sturdy carpet runner, this will protect the mattress and should prevent any wear on the back side. 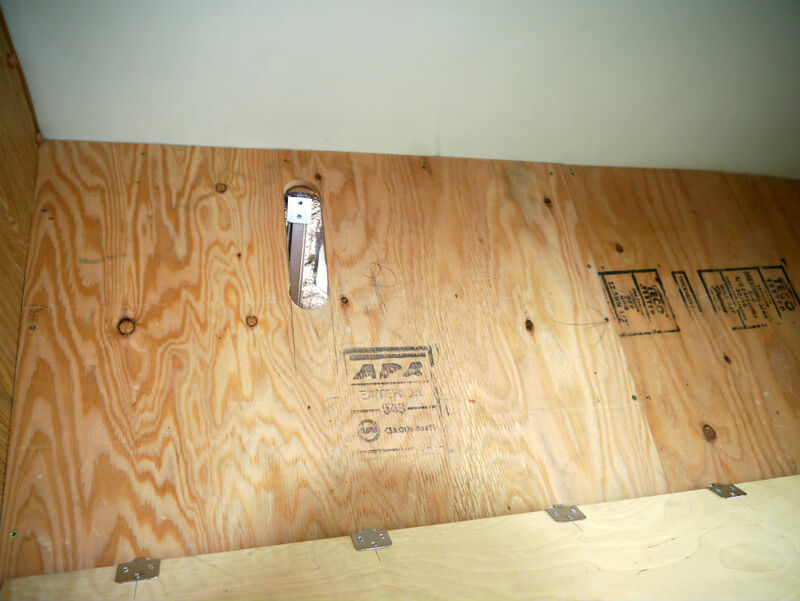 The carpet is secured to the plywood with ½” narrow crown staples. 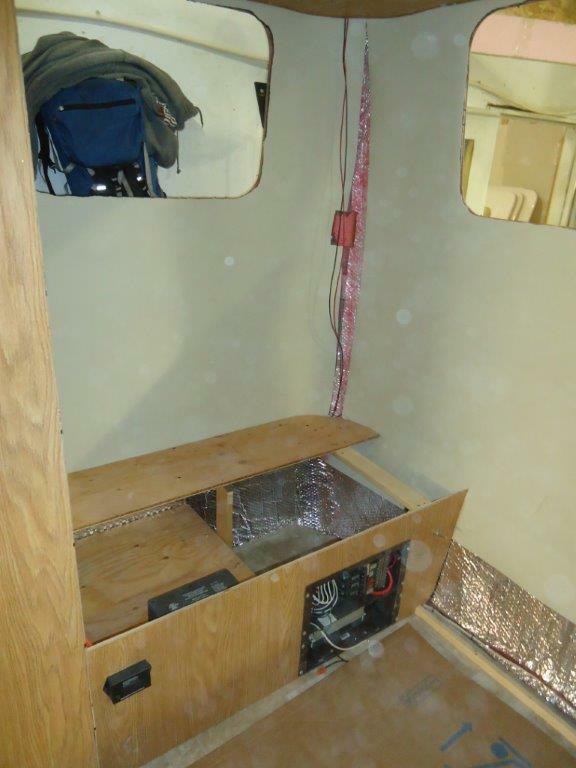 Equally space and Install the 6 hinges along the edge of the lift board, then attach the hinges to the bed deck, aligning the hinges just above the plywood deck seam beside the lift hatch and centered on the 1”x2” support under the plywood deck. Temporarily install the upper mounting plate to the actuator and mount the assembly so it angles towards the outside wall. 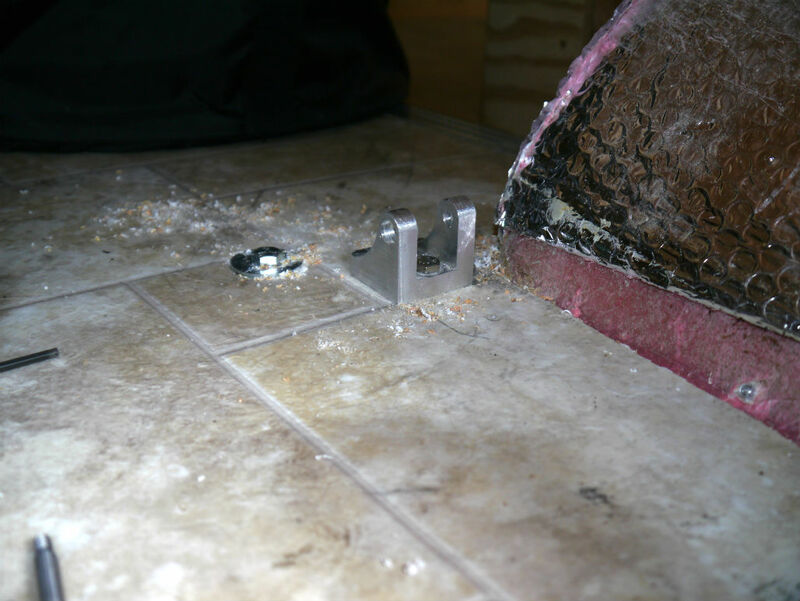 Holding the upper mount against the bed platform mark the location. 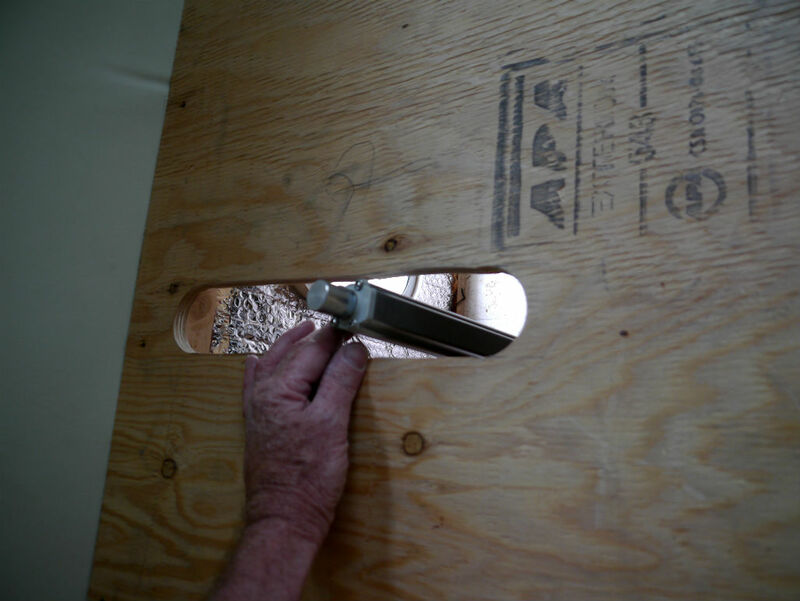 Using a 1.5″ hole saw drill the hole through the bed platform centred on the mark. 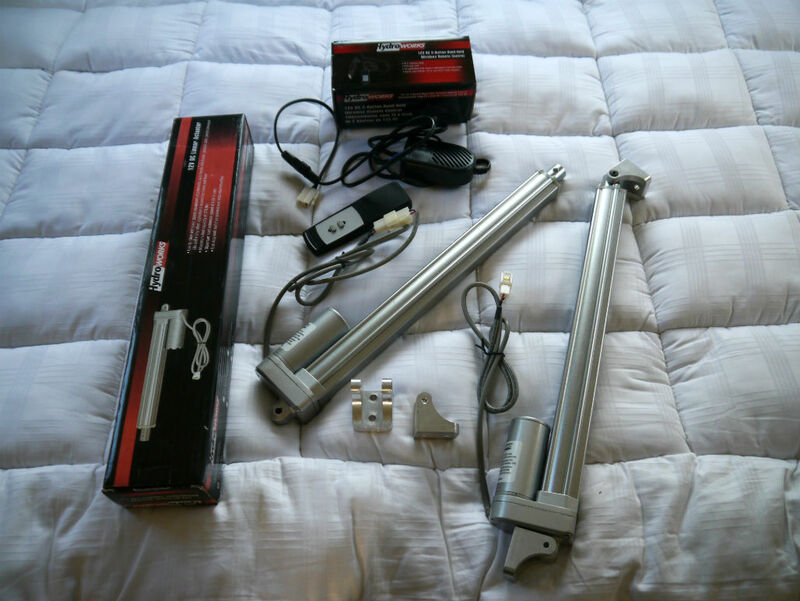 Repeat the process and mount the second actuator, each actuator is located about 12″ from each edge, this provides direct support to the lifting platform close to where you will be located on the bed. 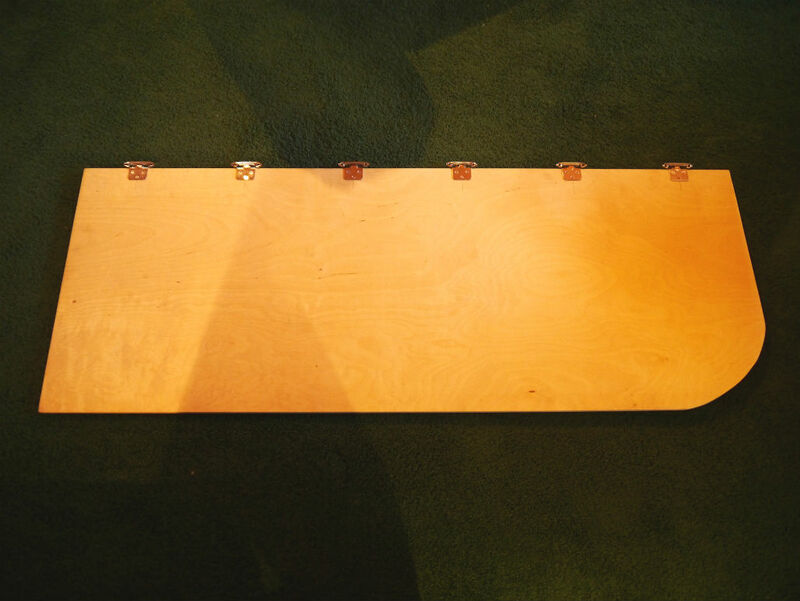 Place the lift platform on top of the bed platform, align the long straight edge along the plywood seam the is located beside the under bed hatch, centre the hinge mounting holes centred on the 1″x2″ support. 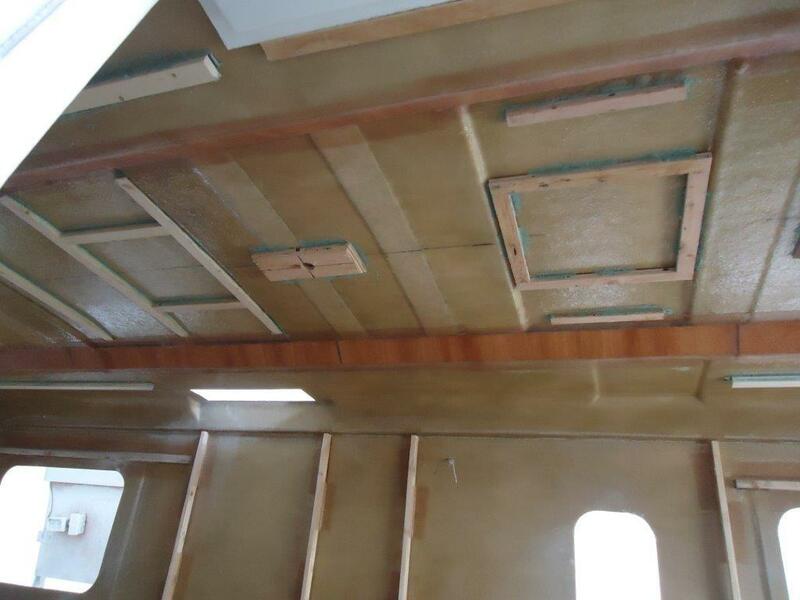 Make sure there is at least a 1″ gap between the lift platform and the walls. Because the actuators are mounted at an angle the top will pivot forward as they extend, this means that slots have to be cut in the bed platform. 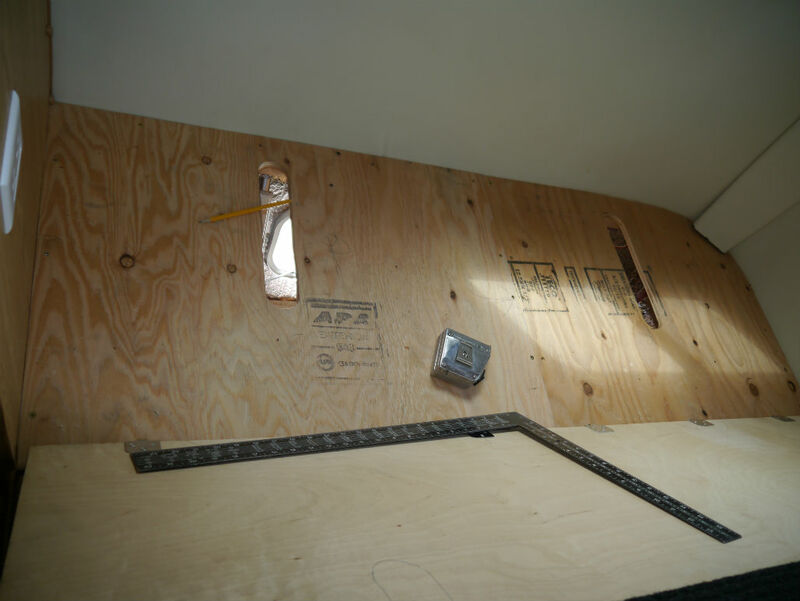 Cutting the slot is easy, just mark parallel line from the upper mount hole you have already drilled, at about 12″ mark and using the 1.5″ holes saw drill a second hole, then cutting along the marked lines with a jig saw. With the lift platform in the lowered position and the actuators fully retracted position the actuator with upper mount attached against the lift platform, mark the hole locations. Drill the holes for the mounting bolts, you will need to make the holes larger than the 1/4″ size of the bracket so the “T” nuts can be installed from the top side. 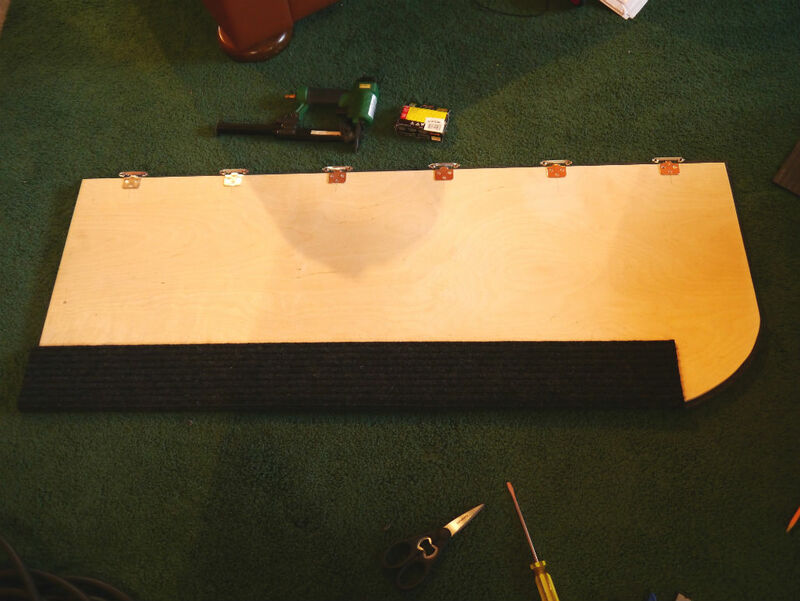 “T” nuts are used so the top of the lift board remains flat and smooth, repeat these steps for mounting the second upper mount. 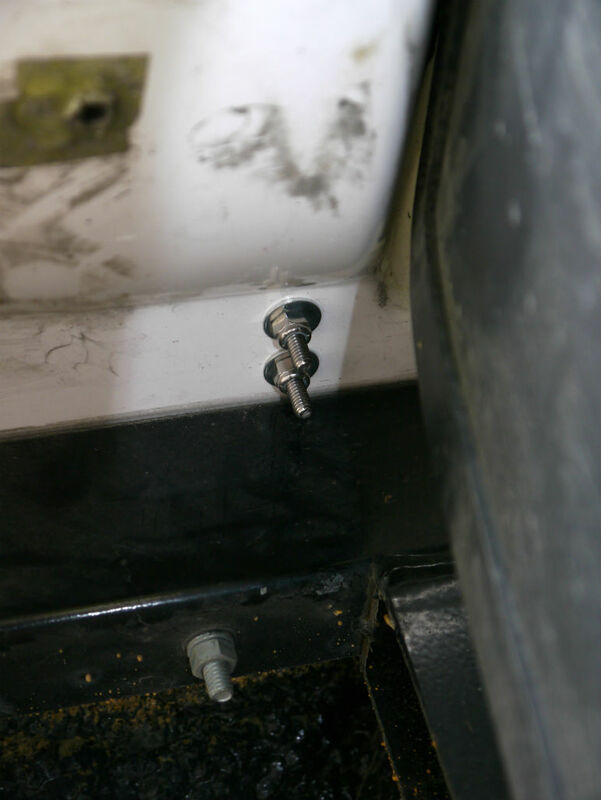 attach the actuators to the upper brackets, you will probably need to extend the actuators to tighten the pivot bolt. 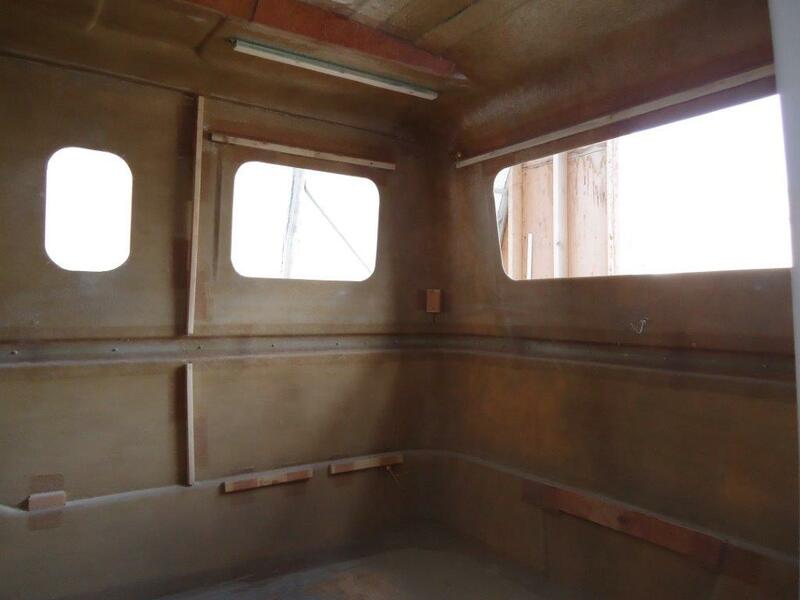 Congratulations the mechanical work is done, just the electrical is left. Using the Hydoworks 12V DC 2-Button Handheld Wireless Remote Control makes wiring a snap. On the control there is a modular plug that can be connected directly to an actuator, splice one of the wiring connectors included with the actuators onto these wires, Make sure you connect the wires correctly or one actuator will extend and the other retract, just look at the modular connector which is a “T” shape and make sure the wires go to the same terminals on the plugs. 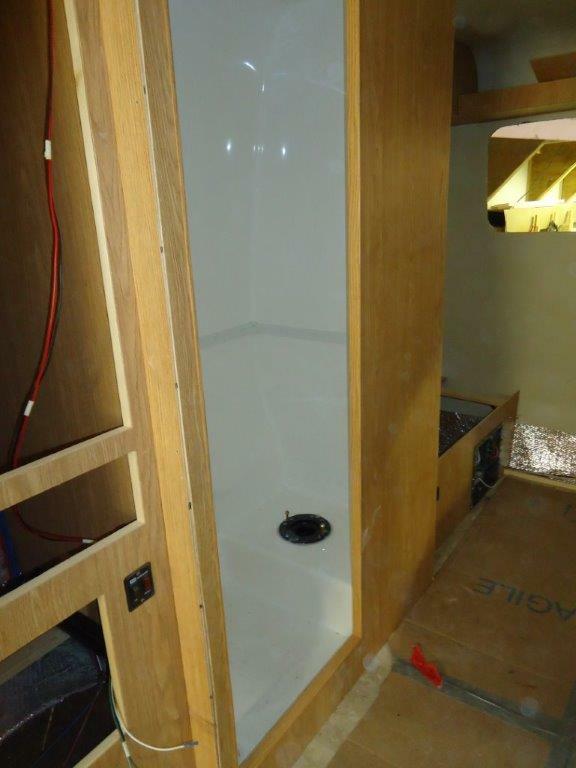 The main control box needs a 12 volt supply, on our trailer we have an 12V outlet right beside the hatch so I just tapped into that outlet, your supply may be different and require running 12V supply to the control box. 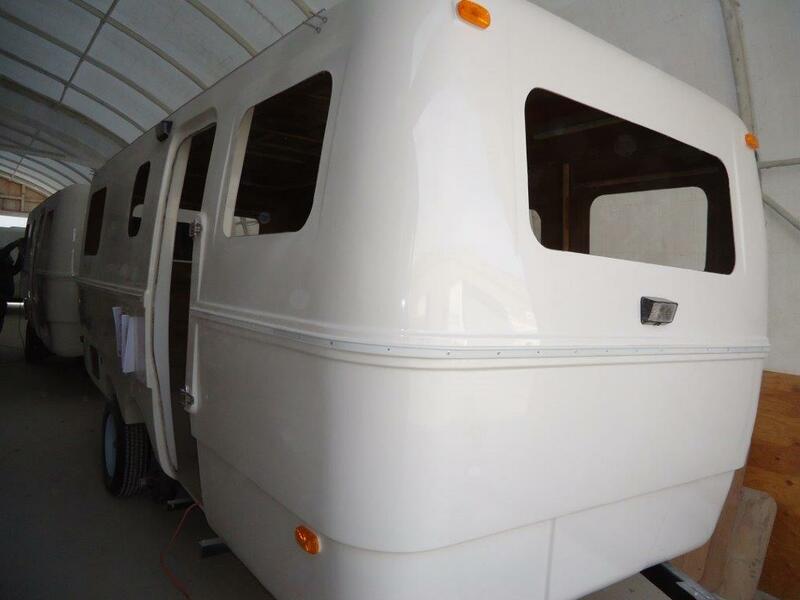 Everyone needs more than one fiberglass trailer. 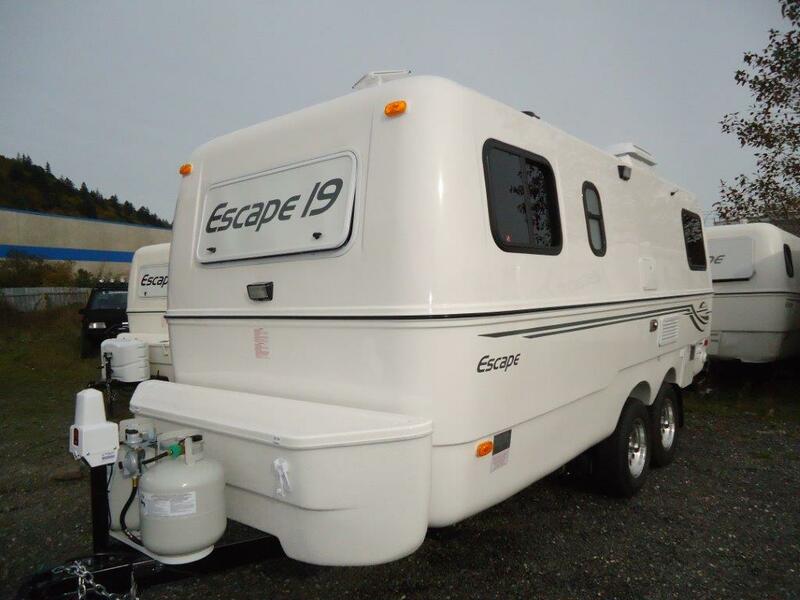 Earlier this year we made the decision to add an Escape 19′ molded fiberglass trailer to use for longer trips and a traveling home away from home, especially as we look forward towards retirement. 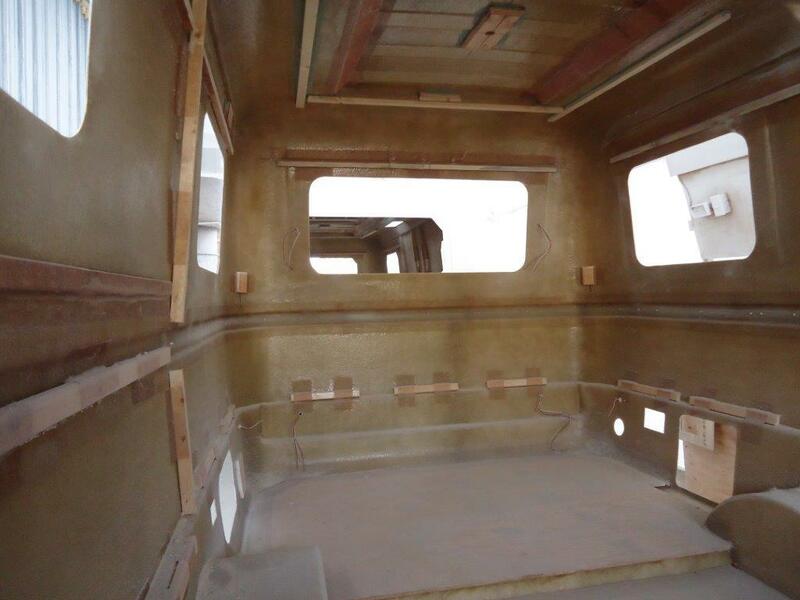 Since we entered the molded fiberglass trailer world, first with our Boler then with a Casita Freedom Deluxe we soon discovered that in our minds the Escape Trailer Industries product was the Cadillac. 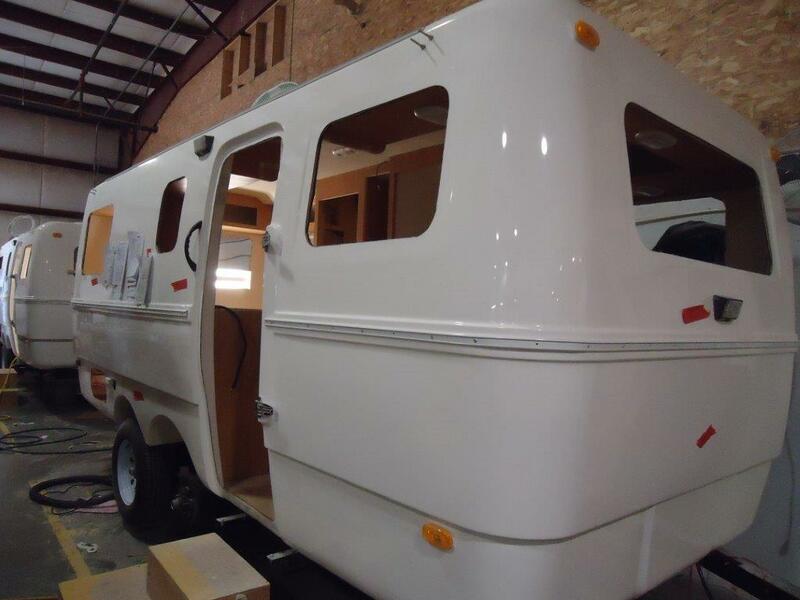 In fact many changes, upgrades and design features I thought I had “invented” when I built the Boler were the way Escape made their trailers. 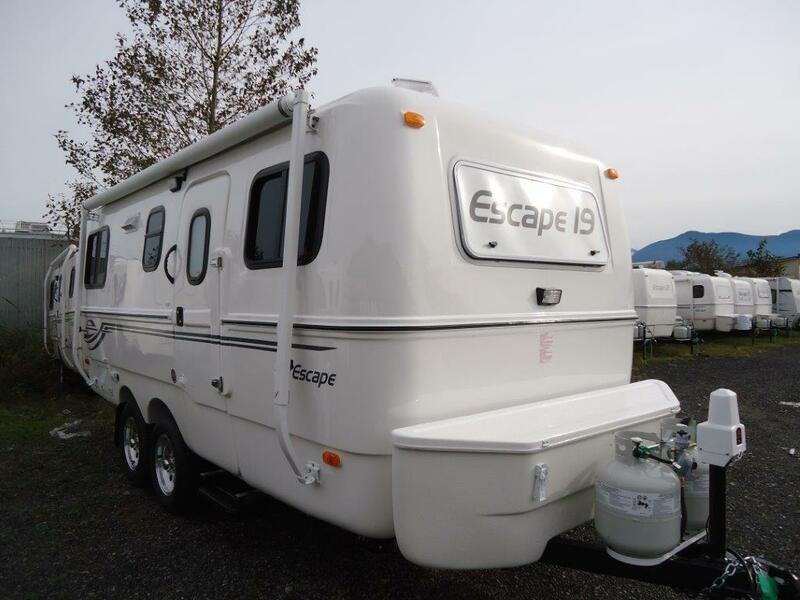 The Escape trailer produced by Escape Trailer Industries in Chilliwack B.C. is another Proud-Canadian success story. 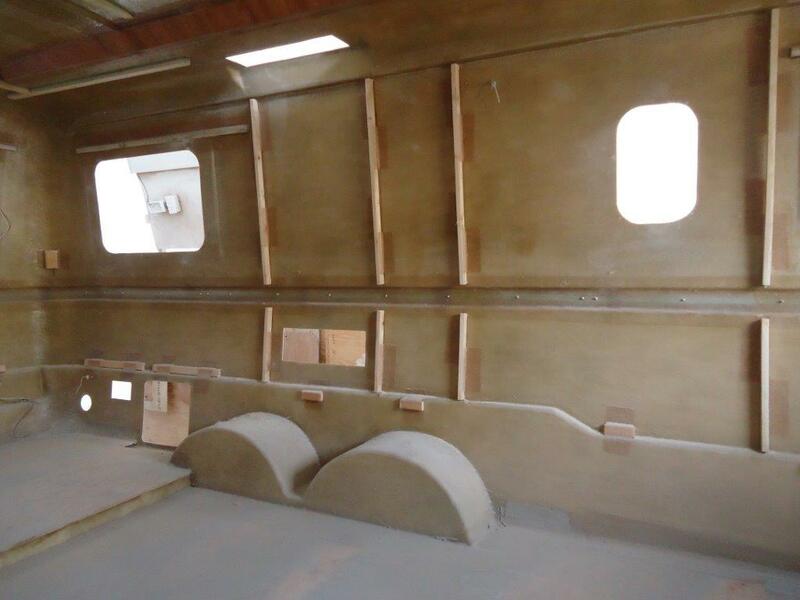 Visit the following link to read their story and the models they produce. 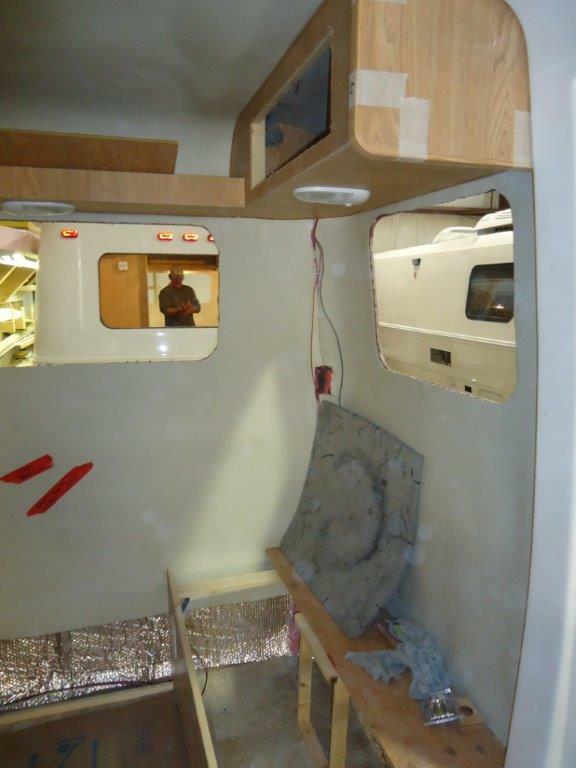 The following is a pictorial diary of the building of our custom 19′ “Proud-Canadian” Escape trailer. Fresh out of the mold construction starts. 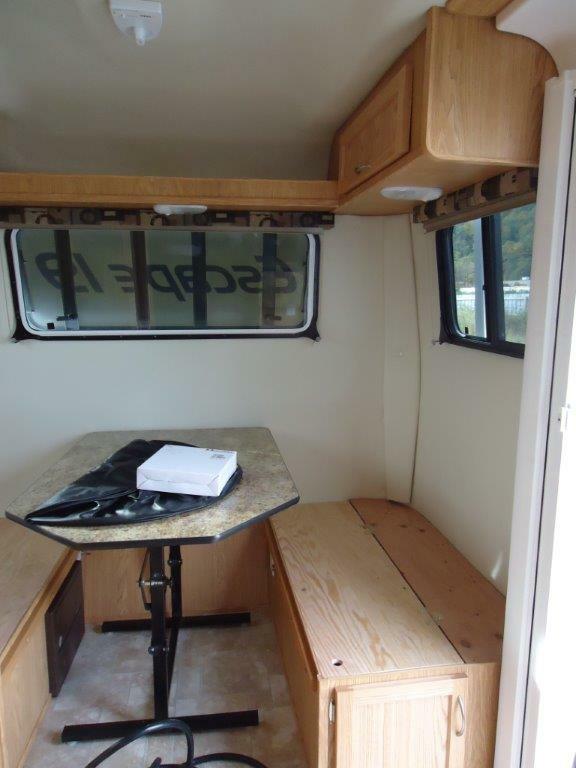 Front corner, 2 right windows are in the dinette. Looking up, blocking is for connecting cabinets, lighting, etc. 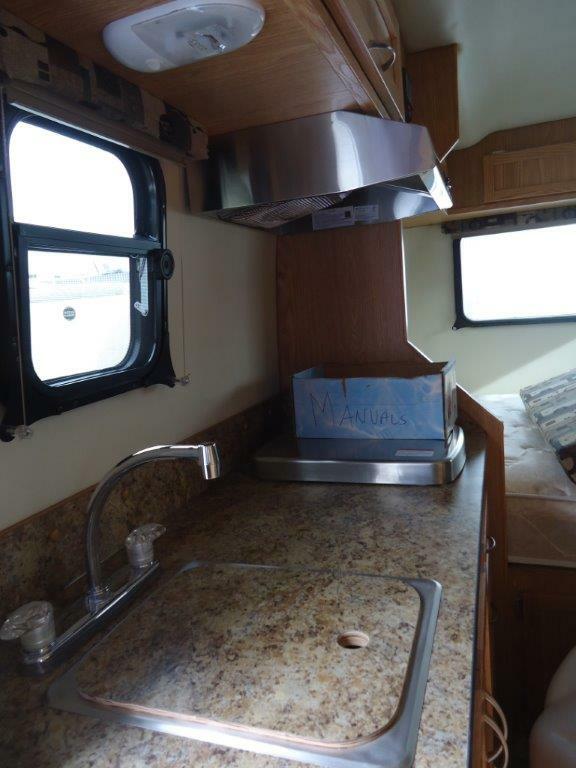 Right window is the bathroom, left window is the end of the bed. 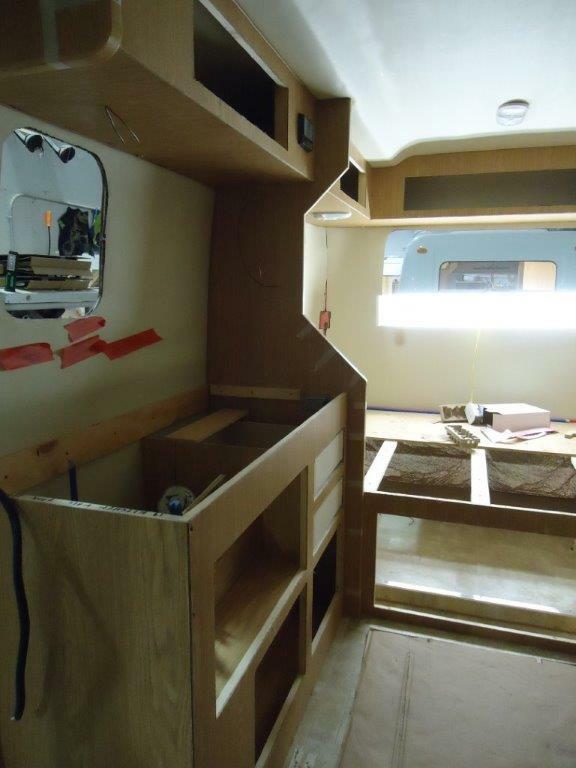 The kitchen is taking shape, we custom designed this with wider drawers and aligning the centre stile to be continuous from top to bottom. 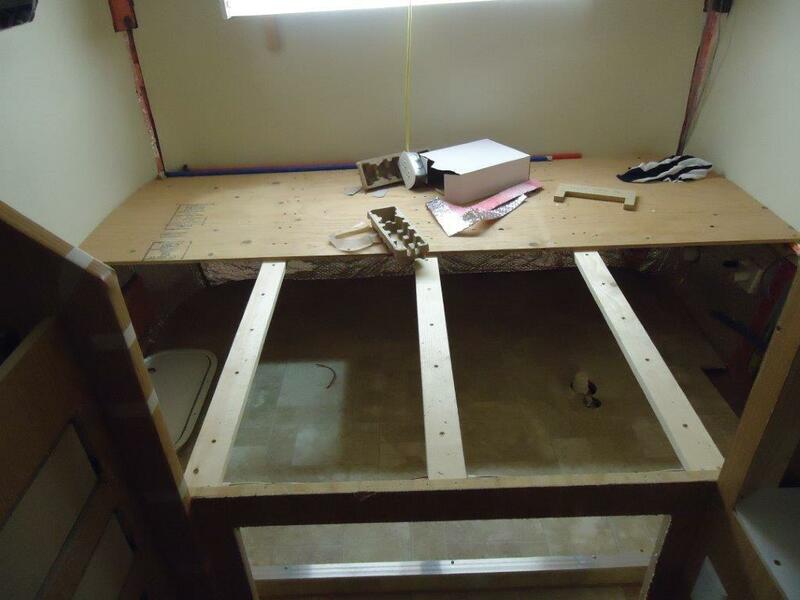 Platform for the queen size bed, not sure what we will do with all the storage. 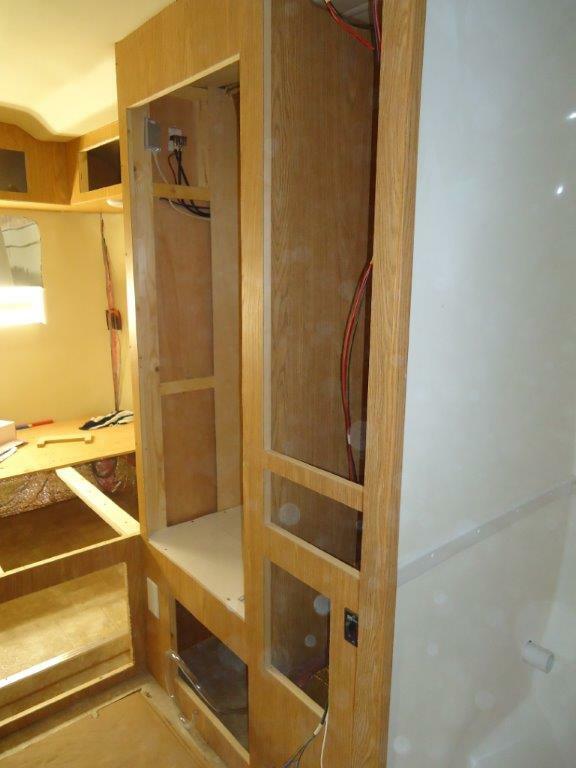 Notice the wider upper cabinet door, normal is 24″ we ordered 36″. Looks great!! !